The Mail on Sunday (the Sunday edition of the U.K. tabloid Daily Mail) just came up with a Bond 25 curve ball. The publication says Phoebe Waller-Bridge, creator and star of the BBC series Fleabag, is the latest writer to tackle Bond 25’s script. One plot being considered involves (Daniel) Craig’s ageing Bond retired and now living in Jamaica – the island where 007 author Ian Fleming had his Goldeneye retreat. The 007 number has been taken up by a new agent – a woman – who embarks on a mission which forces Bond to come out of retirement. Despite Bond’s legendary reputation as a womaniser, the new 007 manages to resist his charms. A source said last night: ‘Phoebe is the hottest young writer in the UK and Hollywood at the moment. The story also says Bond 25 is scheduled to begin filming in Jamaica “within weeks.” Last month, a unit shot a sequence in Norway. If the story is correct, Waller-Bridge joins a growing roster of Bond 25 scribes, including Neal Purvis, Robert Wade, John Hodge, Paul Haggis and Scott Z. Burns. Also, if Waller-Bridge joins the Bond 25 writing brigade, she’ll join a select group of women screenwriters who’ve worked on 007 films. Others include Johanna Harwood (Dr. No and From Russia With Love) and Dana Stevens (The World Is Not Enough, uncredited). Here is an appearance Waller-Bridge made on NBC’s Late Night With Seth Myers. About those Bond 25 script stories: The Rashomon Effect? Can’t keep all these writing scenarios straight? Relax with a drink. In the space of days, we’ve gotten two wildly different scenarios about the progress of Bond 25’s script. Later, on Feb. 27, Variety did an imitation of Kevin Bacon in Animal house and reassured everyone all is well. Rashomon was a 1950 movie directed by Akira Kurosawa where the characters have wildly different memories and impressions of the same story. The film was quite influential. In the 1960s, a plot on some television situation comedies in the U.S. was to depict the very different recollections of characters of the same occurrence. Maybe, just maybe, The Playlist and Variety have different sources with different outlooks on the progress of the Bond 25 story. Both sources cited “sources” they didn’t identify. The Playlist played up Burns’ record as a script doctor. “It’s an overhaul and I won’t be surprised if Burns is ultimately given first screenplay credit,” wrote The Playlist’s Rodrigo Perez. Variety’s Justin Kroll specifically said Fukunaga had a turn writing the script himself. Fukunaga often writes his own scripts. There’s been plenty of fan speculation this would take place with Bond 25. Variety was the first place I saw that said that had happened. The Variety story doesn’t mention Burns by name. Scripting efforts on Bond 25 began when 007 veterans Neal Purvis and Robert Wade were hired in 2017. There was a detour last year when Danny Boyle was hired to direct the movie, bringing along his writer, John Hodge. Boyle and Hodge departed. So now we’re where we’re at — where ever that is. 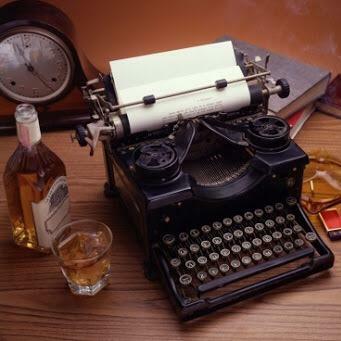 Maybe it’s time for a drink to relax after trying to evaluate the different scenarios. So how do you transition from the end of SPECTRE to the start of Bond 25? In less than two months, Bond 25 is scheduled to start filming in time for a Feb. 14, 2020 release. Naturally, the blog has a few questions. 001: How do you transition from the end of SPECTRE to the start of Bond 25? Cary Fukunaga, the director of Bond 25, has said that Bond 25 will continue a “character arc” that began with 2006’s Casino Royale. At the end of 2015’s SPECTRE, it appeared the Daniel Craig 007 had retired as an Double-O agent. So how do you get from there to a new adventure? 002: How do you reconcile the various Bond 25 scripts? 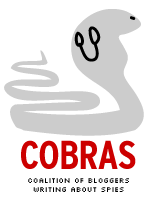 The current effort began with a treatment (i.e. detailed outline) by Neal Purvis and Robert Wade. Then, that was put off to the side because director Danny Boyle and his writer John Hodge pitched an idea that supposedly was great. Then, a few months later, Eon thought better and Boyle and Hodge walked away. There were many stories published during 2018 (See the blog’s sister site, The Bond 25 Timeline for details). But Eon owns all those ideas. Will the final script reflect some or all of those ideas? In some cases, ideas from submitted scripts end up in Bond films years later. Also, it was reported last week that Paul Haggis (involved with writing Casino Royale and Quantum of Solace) had worked on Bond 25’s script. We’ll see how this plays out for Bond 25. 003: How much leeway does director Fukunaga have for Bond 25? Eon Productions gave Sam Mendes a lot of leeway for Skyfall and SPECTRE, including granting Mendes his choice of composer (Thomas Newman in both movies) and director of photography (Roger Deakins in Skyfall). Does Fukunaga get that kind of love from Eon for Bond 25? 004: If the answer to 003 is not so much, does David Arnold get a chance to return to score Bond 25? Arnold, composer of five 007 scores (behind only John Barry’s 11) has been away for more than a decade. Much of that absence stemmed from Mendes’ relation with Newman. Does Arnold get a chance to come back? 005: Does Bond 25’s budget grow, stay the same, or shrink from SPECTRE’s? During the Sony hacks (hacked emails and other documents), it came out that SPECTRE’s budget was on pace to go past $300 million. Supposedly, the budget was closer to $240 million (after factoring in all the product placement and Mexico tax credits). It’s always easier to spend more — as long as a studio is willing to cut checks. 006: How energized are Bond 25’s lead producer and star? Over the extended break, Eon Productions boss Barbara Broccoli has worked on “indie-style” small films while star Daniel Craig has worked on other projects. Meanwhile, Craig said back in 2016 that “everybody’s just a bit tired.” Is everybody rested up now? 007: Does Universal’s involvement with Bond 25 change things? Sony Pictures (through its Columbia Pictures brand) released the last four 007 films (2006-2015). Now, a joint venture between MGM and Annapurna Pictures will handle U.S. distribution while Universal will handle international distribution. Does Universal change things? There’s no way to tell for now. Danny Boyle, 007 fans hardly knew ye. In the 21st century, news cycles go faster than ever. So it is with the infatuation of Eon Productions with director Danny Boyle. For much of 2018, the idea that Boyle may/would/wasn’t going to after all direct Bond 25 was big news among James Bond fans. Now? Hardly anyone remembers all that. Danny who? 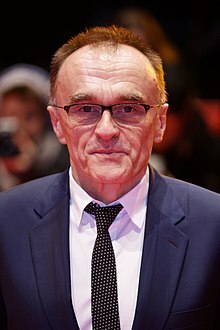 Danny Boyle, 007 fans hardly knew ye. Despite that, Eon’s infatuation has had a huge impact on Bond 25. In 2017, Eon had spent months developing a story by long-time 007 screenwriters Neal Purvis and Robert Wade. But, as first reported by Deadline: Hollywood in February, Boyle and his screenwriter John Hodge made a pitch that intrigued Eon. Suddenly, the Purvis & Wade story seemed expendable. Three months later, Eon announced that Boyle was onboard and Hodge was writing the movie. Another three months later, Boyle is gone. So is Hodge. That’s at least at least six months (if not more) of wasted effort. 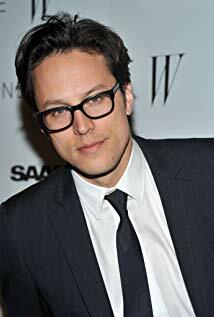 Fans were told in September 2018 that a new director, Cary Joji Fukunaga, had been hired. Since then, Boyle has become as forgotten as Peter Morgan (hired to write what would eventually be Skyfall), or John Landis, Cary Bates and Anthony Burgess (among the scribes hired to write stories for what would become The Spy Who Loved Me). At the very least, it suggests Eon and its studio partners Metro-Goldwyn-Mayer and Universal (who knows how long Annapurna Pictures will be part of the equation?) still care about prestige. Such as when Eon hired Morgan. Nevertheless, with 20-20 hindsight, it’s clear that the le affaire de Boyle delayed the development of Bond 25. Is this important? Actually, yes. With hindsight, the Boyle Affair provides insight to the state of the 007 film franchise. Will it all work out? We won’t know until February 2020.